The nation's only major nuclear power plant under construction appears to still be alive after the owners voted to push forward despite another multibillion-dollar cost overrun. 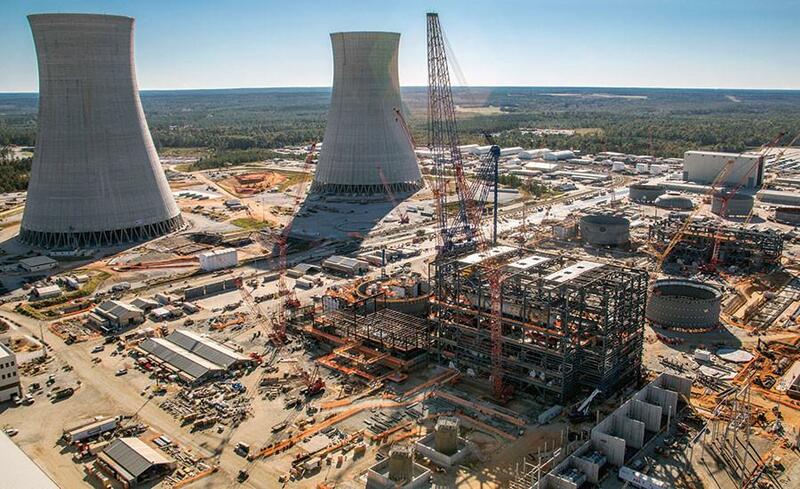 But Oglethorpe Power said they're only willing to move forward with the construction of two new reactors at the Vogtle nuclear power plant near Waynesboro, Ga., if cost-control measures are implemented. The Municipal Electric Authority of Georgia and Georgia Power, the other two primary owners of the project, had previously said they're willing to move forward. The board of a Georgia utility has voted to continue the expansion of a nuclear power plant that's years behind schedule and billons of dollars over budget. The Municipal Electric Authority of Georgia's board voted unanimously Sept. 24, to continue building two new reactors at the Vogtle nuclear power plant near Waynesboro. A third owner, Georgia Power, already indicated it's ready to push forward. The owners building two new reactors at the Vogtle nuclear power plant near Waynesboro, Georgia are set to vote on whether to move forward or abandon the project. Oglethorpe Power and the Municipal Electric Authority of Georgia could vote as early as Sept. 24.